If you have found yourself reading this article, you are probably a health-conscious individual (or at very least a health-curious individual). Most of us that fall into this health-conscious category try to stay up-to-date on new, evidence-based scientific research that may give us clues to maintain or improve our health, stay active, feel good in our bodies, and live longer. This can get tricky when the research shows competing conclusions about what diet is the “healthiest”, and even more stressful when trying to decide how to eat for a specific change to occur. Most popular are the fad diets for weight loss: low fat, low cal, low carb? There are heart-healthy diets, diets to gain control of your insulin and blood sugar, diets to ease digestion, diets for clearer skin, diets for clearer thinking, and even diets that promise to increase your fertility. Deciding how to best nourish the body you have, to maintain it or make it the body you want, can be an extremely difficult decision! 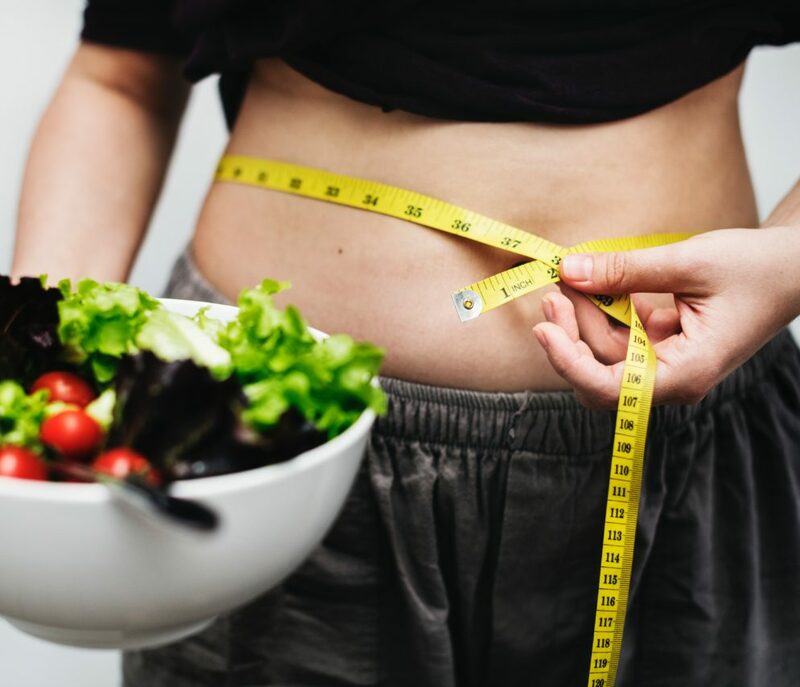 Whether or not you are trying to lose weight, many diets are restrictive of certain foods or groups of foods due to specific factors that make them adverse to the diet’s goal. When we cut food groups from our diets, however, that can mean a sudden loss of certain nutrients that our body needs or is accustomed to using for everyday functions. This loss of critical nutrients can cause a mix of counterproductive results from discomfort, to unintended weight changes, to illness. For whatever diet you choose, make sure you are not deficient in any nutrient your body relies on by selecting complementary supplements. Supplements can help you replace the needed nutrition you used to get from foods you now choose to avoid. Cutting out “nightshades” to reduce inflammation. Nightshade fruits and vegetables naturally contain an alkaloid substance called “solanine”. Solanine is toxic at very high quantities, but even at low quantities has been shown to increase inflammation, and more specifically, worsen the physical symptoms of arthritis, inflammatory bowel disease, and other autoimmune conditions . If your doctor recommends you cut out nightshades, this list includes tomatoes, bell pepper, eggplant, and potatoes among other, otherwise healthy foods. By losing these food from your diet, you may reduce inflammation, but you may also lose significant sources of vitamins A and C, lycopene, fiber, and potassium [2-4]. Luckily, you can replace these nutrients with a daily multivitamin (which does not contain solanine), and add needed fiber to your diet with a product such as psyllium husk, or another natural fiber supplement. Ketosis. The ketogenic (or “keto”) diet is the latest craze in weight loss diet. It is not only designed to help patients burn body fat, but has also had success in helping epileptic patients who do not respond to others forms of treatment . As a high fat, low carb diet, there are many foods that are off the table when forcing your body into a state of function called “ketosis” and your nutrient needs will likely change. Magnesium, potassium, and sodium are the three nutrients you are most likely to become deficient in during ketosis . As you lose water weight during the first few weeks of going low-carb, you’ll be flushing electrolytes out too. This is because the kidneys process electrolytes differently under low-insulin conditions, and will filter out more sodium than usual causing a domino effect that flushes out other electrolytes as well . Because salt is a controversial ingredient due to its link with hypertension, may people are very careful to limit salt in the keto diet too. You need salt! Or “sodium” specifically, for many cellular functions, and sodium and potassium work in a balanced team for many of those functions. This means as you lose sodium, you lose potassium too. You’ll be losing magnesium by the same mechanism and without high-magnesium foods like fruit and beans (which are also high in carbohydrates), you may become magnesium deficient as well. In fact, a high proportion of the population (non-keto-dieters) is already likely magnesium deficient, as the American diet is so high in processed foods and many people are prescribed magnesium-depleting medications without information on supplementation . If you are undergoing ketosis, you may experience muscle cramping, irritation, or difficulty sleeping, which may all be related to magnesium deficiency and relieved with magnesium supplementation. Magnesium is a necessary mineral for a myriad of cellular functions; it is a regulator of energy production, blood sugar regulation, and supports the immune system . Rather than taking magnesium alone, you may want to consider a potassium/magnesium supplement, or a calcium/magnesium combination supplement, such as Metabolic Maintenance’s Potassium/Magnesium Citrate, Cal/Mag 1:1, 1:2, or Cal/Mag Plus with Vitamin D. Most dairy products are going to be eliminated during a keto diet, due to the carbohydrate content and you may be consuming much less calcium than normal. While most people know calcium is needed for strong bones, fewer may understand that calcium is necessary for all cellular function of the body, including nerve signalling and hormone secretion. Calcium should always be taken in conjunction with magnesium as calcium absorption is dependent on magnesium. Vitamin D is a great supplement for everyone, as a majority of the population don’t get enough. Another great supplement for keto-dieters is an omega-3 oil supplement, such as Mega Omega Extra Strength. The high fat diet you are on is likely high in omega-6 fats, but should be balanced with omega-3s to reduce inflammation, triglycerides, and insulin production . One common complaint expressed by those on the keto diet is diarrhea, constipation, bloating, or other digestional discomfort. Because this diet is so much higher in fat than the average diet, and you are likely to be eating much more meat, it takes your body a while to produce the right kinds and amounts of digestive enzymes to break down the new diet. Consider taking a digestive aid with enzymes like lipases (which break down fats), and proteases (that break down proteins). Metabolic offers a great option called GluDaZyme, which includes both of the above categories of enzymes, as well as others, to aid in digestion on any diet. Keto dieters who are also exercise enthusiasts might also be glad to know that protease supplements have been shown to help with soreness post workout . Probiotics would also be a great way to help manage your gastrointestinal health while undergoing ketosis. As our diets change, the population and types of bacteria living in our gut change, which in turn changes the way we break down and absorb certain foods. Sometimes, unfavorable bacteria can take over, preventing the gut from absorbing all the benefits that would otherwise be found in food . Taking a daily probiotic replenishes the good microbes to the gut and colon, and may regulate diarrhea and constipation, as probiotics are known to help control food transit time through the GI tract. Taking a prebiotic supplement is also advised, as prebiotics are essentially fibrous food for probiotics. You will probably be low on fiber in general during your keto diet, as fiber is mostly found in fruit and vegetables that also contain carbohydrates. Good, probiotic bacteria need fiber to flourish and repopulate an unhealthy gut, so likely, you’ll want both pre- and probiotic supplements to help regulate your digestion. Whole30. If you’re eating whole foods and cutting out toxins, chemicals, sweeteners, and preservatives, do you really need to supplement anything? The answer is “maybe”. Just because the diet includes the option to eat whole foods that contain a spectrum of vitamins, minerals, and amino acids, doesn’t mean you will end up eating a balanced mix of all the nutrients your body needs to thrive. If you have specific health requirements, food aversions, or end up restricting your diet by repeating the same, Whole30 approved recipes, you may not be getting enough variety or abundance of nutrients. Consider also the fact that, when it comes to organic foods,“they just don’t make ‘em like they used to”. There is evidence to show that fruits and vegetables we eat today have significantly less nutrition in them due to breeding, monoculture, and soil depletion over the years . A Kushi Institute study of nutrient data from 1975 to 1997 found that the average calcium levels in 12 types of vegetables had dropped 27%, iron levels 37%, vitamin A 21%, and vitamin C levels 30%. Another study reported that we would, today, need to eat 8 oranges to get the same amount of vitamin A that our grandparents could get from 1 orange in their youth . This means eating your fill may not be enough to get all the nutrients you need anymore. Luckily, we have access to clean, high-quality multi-vitamins that are designed to pick up the slack for our diets, which come tailored to our personal needs at different life stages. Metabolic Maintenance offers some great products that fit this description, such as Basic Maintenance, FemOne, FemOne Silver, and The BIG ONE. The Mediterranean Diet. A 2015 study published in The American Journal of Medicine declared that the Mediterranean diet is just as effective for long-term weight loss as going low carb . Much more important than the possible weight loss however, are the studies that show the Mediterranean diet lowers risk of heart disease, stroke, cancer, diabetes, and early death . The diet as also recently been linked with increased brain health in older adults and lower risk of Alzheimer’s disease . It’s based around cooking for yourself with whole foods, limiting red meat and saturated fats, and eliminating processed food and unnecessary additives, much like the Whole30, but with fewer restrictions around carbs and starch. Again, although choosing this diet may be a wonderful step in cleaning up the way you eat, it doesn’t guarantee you’ll get all the nutrition you need to thrive. You may specifically find yourself consuming less calcium and vitamin D, as these nutrients are typically found in dairy products and the Mediterranean diet may have you eating less dairy than the typical American diet. When replacing that vitamin D, be sure it is vitamin D3. Vitamin D-3, cholecalciferol, is the form that animals make in response to sunlight, and is more potent and longer-lasting than ergocalciferol (vitamin D-2). Vitamin D is necessary for the maintenance of bone health and calcium homeostasis . Consider adding a daily multivitamin/mineral formula such as those mentioned above to help reach your recommended daily requirements. Most people would also benefit from taking an omega-3 supplement containing fish oil, and pre-and probiotics to aid in digestion. Childers, N. F., and M. S. Margoles. “An apparent relation of nightshades (Solanaceae) to arthritis.” Journal of Neurological and Orthopaedic Medicine and Surgery 14 (1993): 227-227. Riso, Patrizia, et al. “Effect of a tomato-based drink on markers of inflammation, immunomodulation, and oxidative stress.” Journal of agricultural and food chemistry 54.7 (2006): 2563-2566. Thankachan, Prashanth, et al. “Iron absorption in young Indian women: the interaction of iron status with the influence of tea and ascorbic acid–.” The American journal of clinical nutrition 87.4 (2008): 881-886. Jenkins, David JA, et al. “Effect of a very-high-fiber vegetable, fruit, and nut diet on serum lipids and colonic function.” Metabolism-Clinical and Experimental 50.4 (2001): 494-503. DiNicolantonio, James J., James H. O’Keefe, and William Wilson. “Subclinical magnesium deficiency: a principal driver of cardiovascular disease and a public health crisis.” Open Heart 5.1 (2018): e000668. Gröber, Uwe, Joachim Schmidt, and Klaus Kisters. “Magnesium in prevention and therapy.” Nutrients 7.9 (2015): 8199-8226. Miller, Paul C., et al. “The effects of protease supplementation on skeletal muscle function and DOMS following downhill running.” Journal of sports sciences 22.4 (2004): 365-372. Krajmalnik-Brown, Rosa, Zehra-Esra Ilhan, Dae-Wook Kang, and John K. Dibaise. “Effects of Gut Microbes on Nutrient Absorption and Energy Regulation.” Nutrition in Clinical Practice 27.2 (2012): 201-14. Turner, Lisa. Better Nutrition. “10 Simple Ways to Follow the Mediterranean Diet”. Feb 1, 2018. https://www.betternutrition.com/features-dept/mediterranean-diet. Armas, Laura AG, Bruce W. Hollis, and Robert P. Heaney. “Vitamin D2 is much less effective than vitamin D3 in humans.” The Journal of Clinical Endocrinology & Metabolism 89.11 (2004): 5387-5391.